To make the cross braces (B), first dry-assemble the frame and measure between the extremes of each pocket Then cut two pieces of 2x6 to this length, and also to final width. half laps. Now lay out half-lap joints on the ends and center of each cross brace, see Fig. 2. Note: The center half lap is cut on the top of one brace and the bottom of the other. Clamp the frame pieces to the plywood as you work your way around the table. Then glue and screw the cross braces into the pockets, see Fig. 3a. 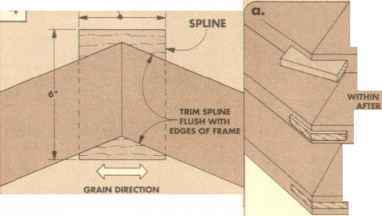 trim splines. Once the glue dries, trim, then sand the splines flush with the inside and outside edges of the frame, see Fig. 4a. With the top frame assembled, the next step is to round over the edges. round-overs. To round over the outside edges of the frame, I used a W round-over bit, routing in a counter-clockwise direction, see Fig. 5. For the top inside edges of the frame — and also the top edges of the cross braces — I used a Vfc" round-over bit, routing in a clockwise direction, see Fig. 5.
rabbets. 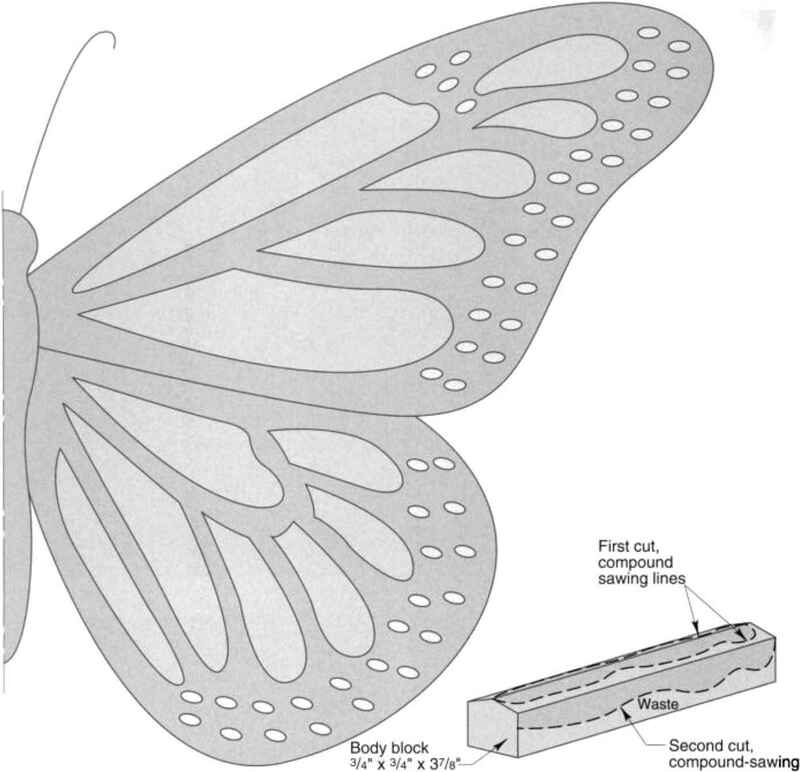 When the top slats are added, they're held in place by a series of keeper strips attached to the underside of the frame, refer to Fig. 9. The slats rest on a ledge rabbeted into the frame. 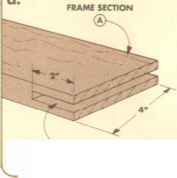 The ledge is formed by routing a %"-wide rabbet along the bottom inside openings of the frame, see Fig. 6. Make at least two passes to rout the 1"-deep rabbet, leaving a V^'-thicklip to support the slats, see Fig. 6a. Then square up the corners with a chisel. How to cut cross braces? How to cut a jointed cross brace? 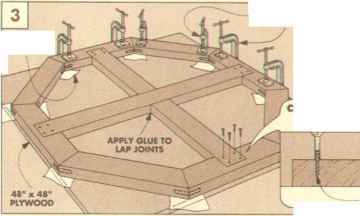 How to cut half lap joints in a cross brace? How to make half lap joints cross brace?